If you visit Google Japan today, Tuesday, you will see a special animated logo for Tanaka Hisashige. Tanaka Hisashige is often referred to as the "Thomas Edison of Japan." It would be his 213th birthday today. 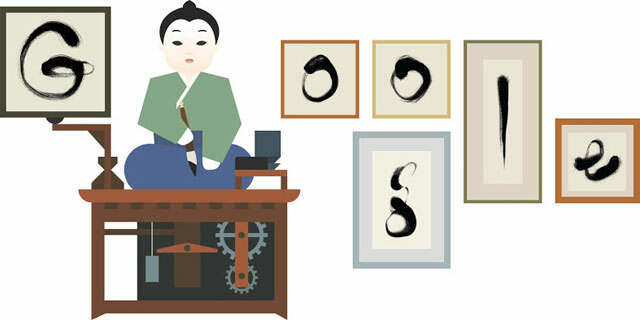 The Doodle shows karakuri doll (a kind of automaton or puppet) inking the Google logo with a calligraphy brush. These dolls, which Tanaka built and performed with for a period of his life, are just one example of his ingenuity; he also invented a loom, built a myriad year clock and manufactured Japan's first steam locomotive.